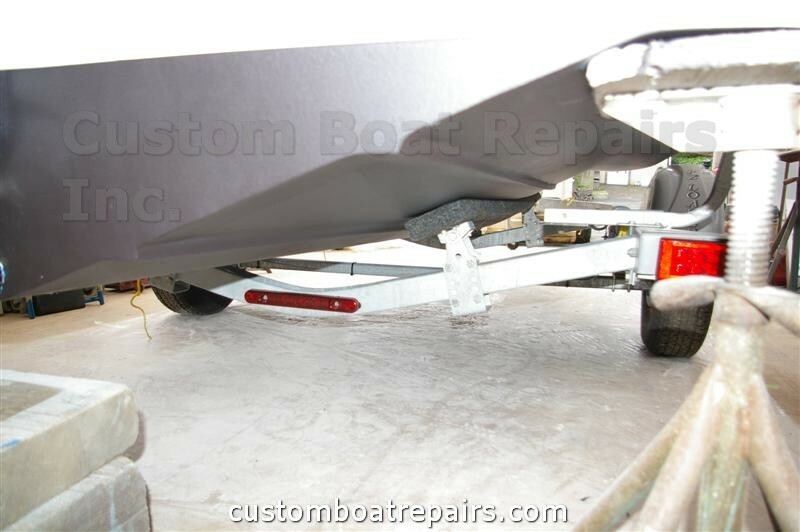 If you read my section on taking your boat off the trailer, now you need to get it back on the trailer. First, it's best to leave your vehicle hooked up to the trailer as you backup to your boat. 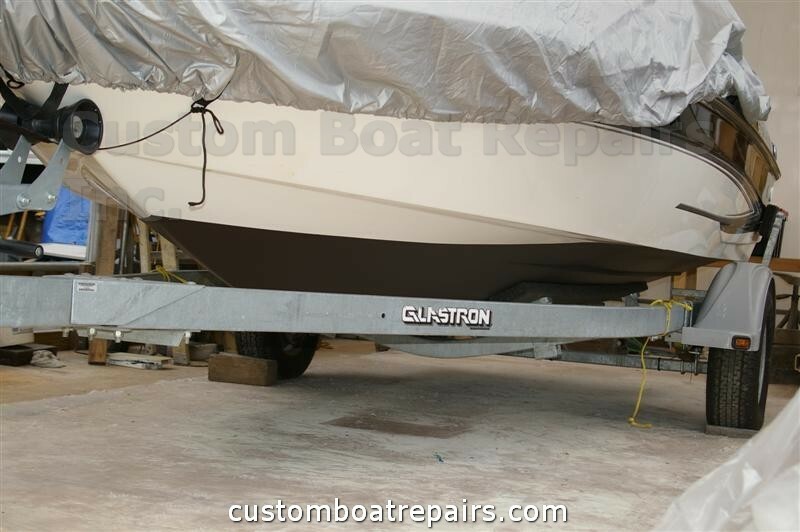 This will prevent the trailer tongue from tilting up when the weight of the boat sits on the back portion of the trailer, when pulling it onto the trailer, and it will also stop the trailer from moving. 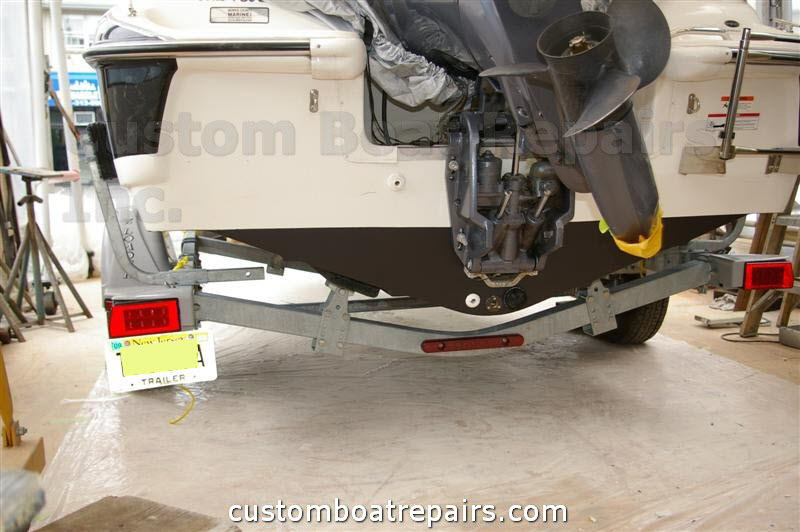 NOTE: It is dangerous to to pull your boat onto the trailer without it being hooked up to your vehicle. The trailer can move, the boat can fall to the ground, and someone can get hurt -- I only use this procedure when I'm also using jack stands. 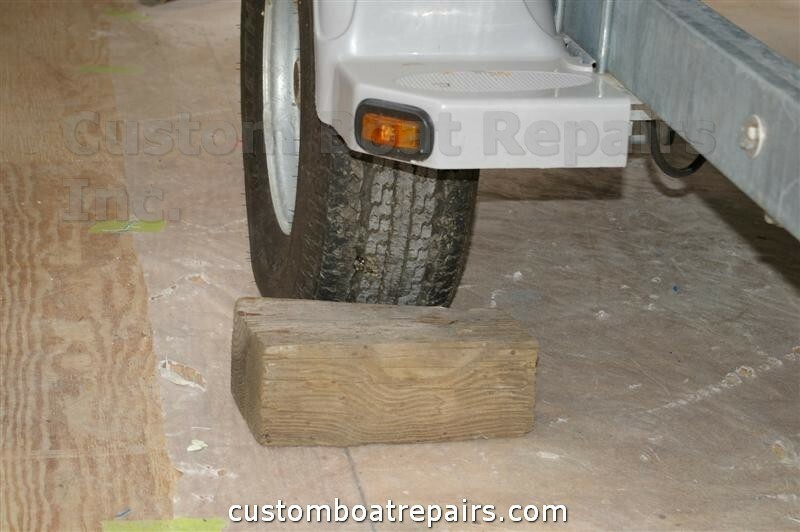 Also, if you're using 2" x 4" pieces of wood to hold the sides of the boat up, then don't pull your boat onto the trailer without the trailer being hooked up to your vehicle either. 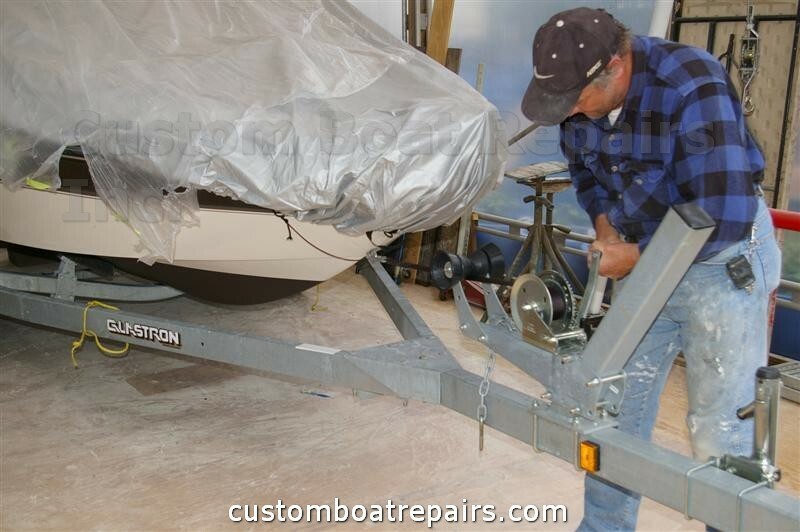 Here are the steps to putting your boat back on the trailer. It's very easy -- easier then taking it off. 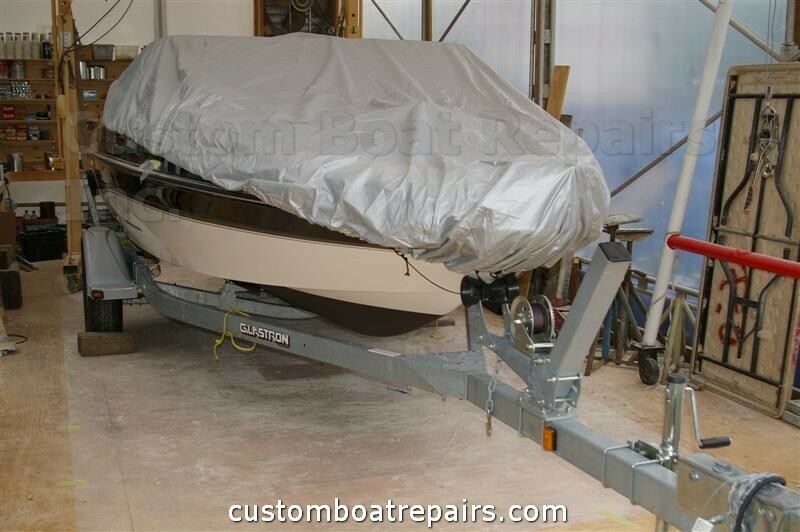 Do It Yourself Step-by-step Photo Guide: How to put your boat back on the trailer. Here is the boat sitting on boat stands. Make sure there is a clear path all the way around the boat. 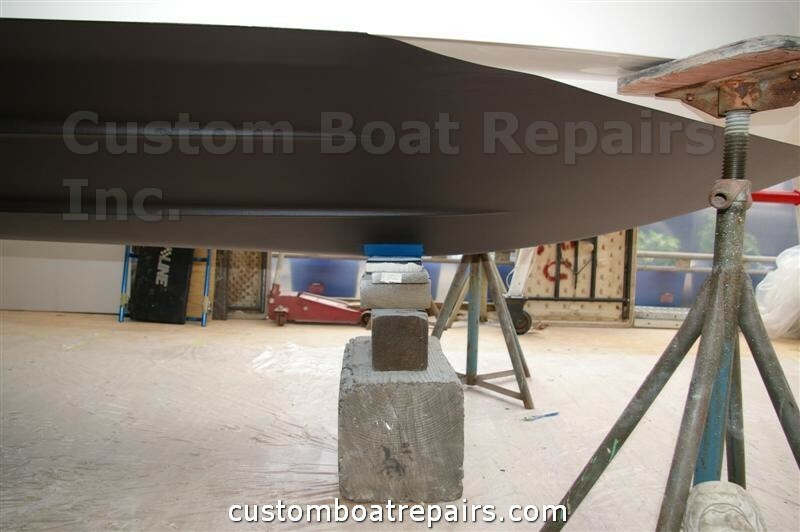 This is the front block (Blue Tape) of the boat being raised by the jack stands. 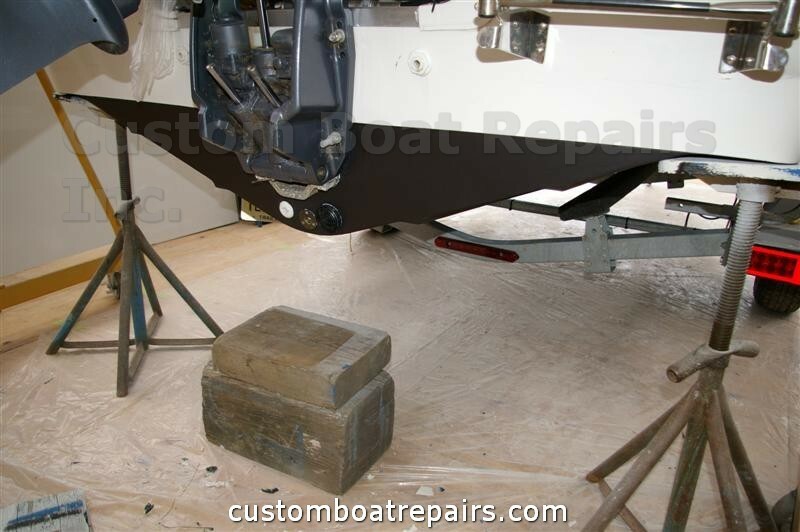 If you don't have jack stands, you can use a Hydraulic Bottle Jack to raise the boat. Slide the blocking back about two feet, and lower the jack stands. Now, move the stands back to where the blocking is, just as a safety precaution. 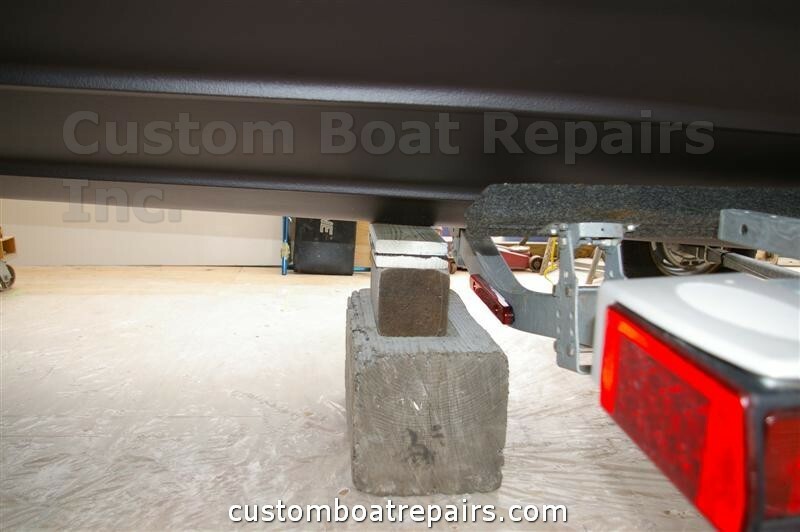 (You don't have to do this if you don't want to, because the boat is on a four-point set and the rear jack stands will hold it.) If you're not using jack stands, then don't do this step. This should give the trailer enough room to start getting under the boat. Here is the trailer going under the boat. Do the bunks of the trailer touch the bottom of the hull? If they do, then you're almost done. If not, let the bottle jack raise the boat, using a wooden block on the hull, so you don't damage it. Remove the blocks and lower the boat onto the trailer. Now hook the strap up to the bow eye loop on the boat, and take up on the winch until it's snug. If you're doing this without a car or truck hookup, you'll have to block the tires to stop the trailer from moving. That's how I did this one. 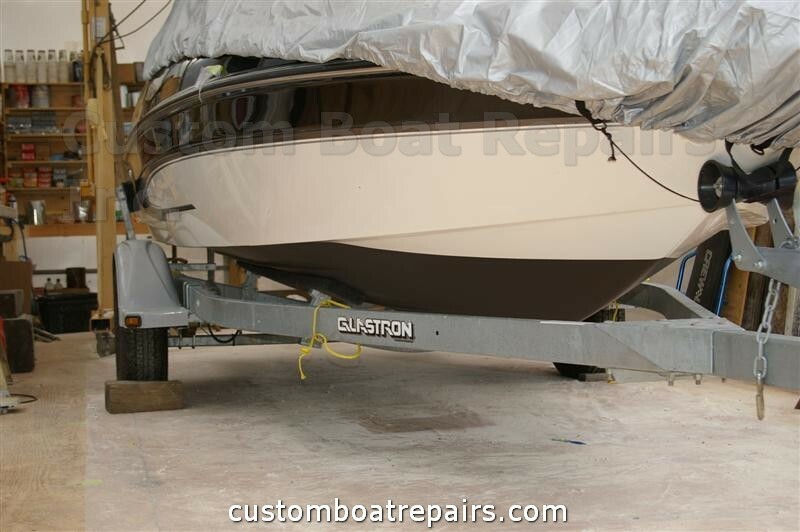 When the trailer goes under the boat, the back of the boat will lift up. Here, you can see the trailer bunks resting on the hull. Now, remember that when you're cranking up the boat, someone should be in the vehile backing it up to the boat. 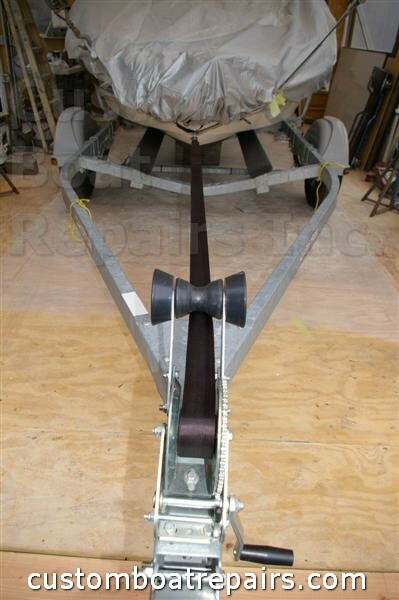 This will put less strain on the strap and the boat will slide onto the trailer very easily. Make sure the bunks are sitting good. 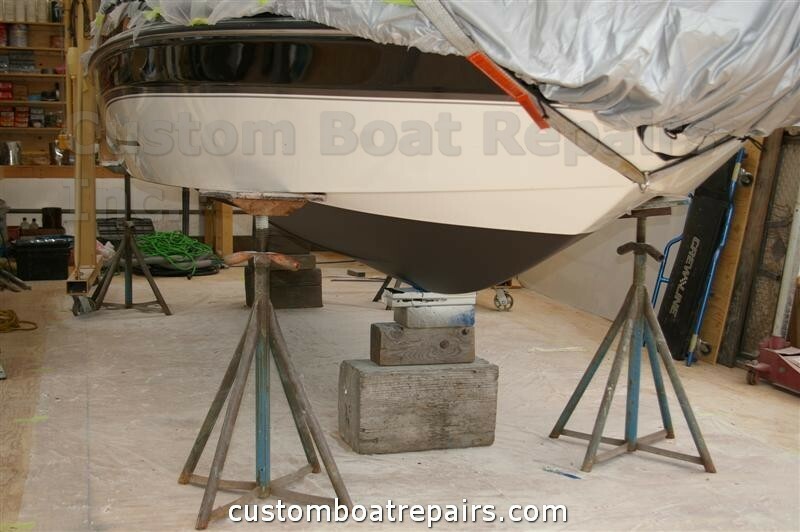 Check the starboard side of the bunks and see if they're sitting properly and not on the lifting strakes. Now do the same on the port side, making sure they're not sitting on the lifting strakes. 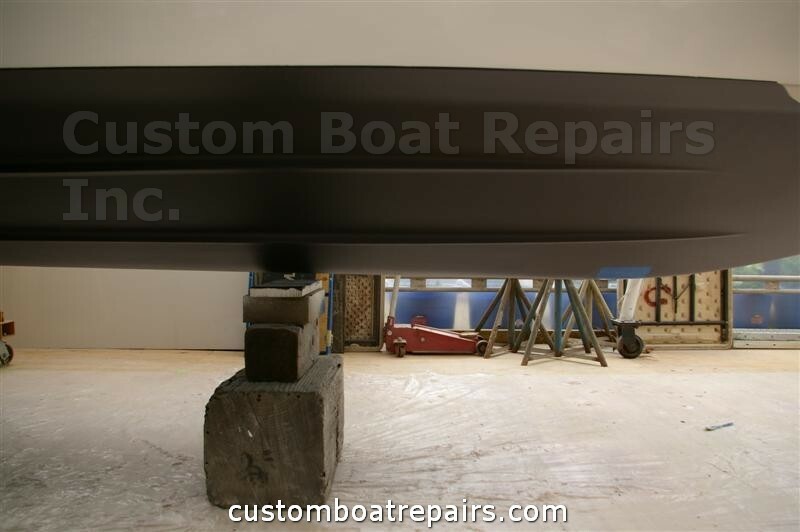 Also, make sure you attach the front chains to the bow eye hook, and the rear straps from the trailer to the transom eyes loops. You're all set to go! Just remember to check the straps and chains before you drive away. If you don't, you will lose your boat on the highway.